When will be Sell It Like Serhant next episode air date? Is Sell It Like Serhant renewed or cancelled? Where to countdown Sell It Like Serhant air dates? Is Sell It Like Serhant worth watching? It doesn't matter what you're selling–if you know your client and your product, a good salesman can sell anything to anyone. 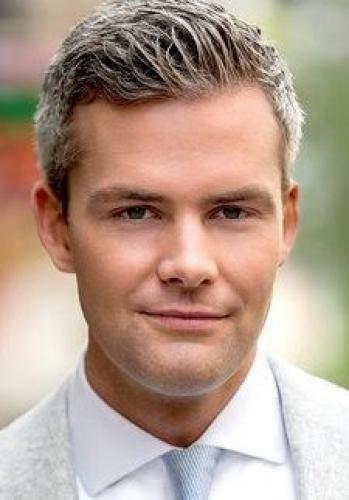 No one exemplifies this better than the leader of one of the top real estate teams in the U.S., Ryan Serhant ("Million Dollar Listing New York"). In Sell It Like Serhant, Ryan puts his sales skills to the ultimate test when he answers the call of struggling sales representatives, desperate for his expertise. While Ryan learns the tricks of a particular trade, he will also give under-performing employees a head-to-toe business overhaul and turn them into sales machines. 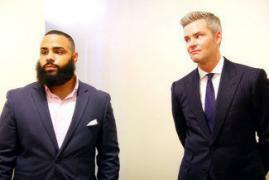 Erick was once his company's top apartment rental agent, but there's a new rival at his company, complete with a man-bun who is determined to take over Erick's spot and his clients. As the pressure from his boss and his difficult home life begin to take a toll on Erick's personality, Ryan arrives and helps Erick find his former self. Can Ryan get Eric to loosen up, have fun, and restructure his life so that he's using his time at work effectively? Or will he leave Eric out of commission and without commissions...for good? Lisa's the only woman at a boys-club commercial Real Estate brokerage, and she's finding it difficult to impress her boss...which is understandable considering she has zero listings. Ryan has one week to figure out how to change that, before she gets evicted not only from her job, but from her house as well. She'll need a full makeover to go from broke to power broker: she will need to boost her confidence, improve her wardrobe, establish her brand and - most importantly - fix her pitch...before she strikes out for good. In this dramatic and heartfelt season finale, Jen is in hot water at her job selling scrubs and lotions, and as if that weren't enough pressure, her boss is also her boyfriend's mom…whom she lives with! Ryan knows that when it comes to business, financials always come before family. This means he has to do everything he can to turn Jen the caterpillar into Jenny the butterfly, all with very little time to complete the metamorphosis. But when it finally seems like he's getting her to open her up, Jen's past may shut down their hopes for good. 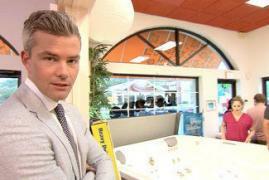 Sell It Like Serhant next episode air date provides TVMaze for you. EpisoDate.com is your TV show guide to Countdown Sell It Like Serhant Episode Air Dates and to stay in touch with Sell It Like Serhant next episode Air Date and your others favorite TV Shows. Add the shows you like to a "Watchlist" and let the site take it from there.